My husband, Dr Pradip Kumar Dube , who has consistently stood by me and has taken on ,managing school’s mundane affairs and various other activities , carving out time from his busy schedule in his medical profession , my elder son Dr. Mukesh , his wife & my daughter-in-law Dr. Shraddha and my grandson Atharva , presently at Indore , have been a perennial source of inspiration , encouraging me to achieve even greater heights . I take this opportunity to thank everyone who believed in the vision that has become ‘Blue Bell’ and extended their whole hearted support for its accomplishment . This message will not be complete without thanking our very close family friend and our elder brother Mr Yogesh Chandra (Mathur) , a retired banker , who is intensely associated with modern day computer technology at Lucknow , for his unremitting effort in conceiving and designing this website and agreeing to maintain and host it also , on our behalf in the coming years . I take this opportunity to offer my special thanks to our very dear Bhabhi , Mrs Shalini Chandra (Mathur) , an experienced and skilled educator at Lucknow , for being a relentless source of encouragement, guidance and critical assistance , right from the inception of the school . 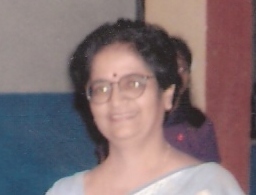 I shall be failing in my duty , if I do not mention the name of my younger son Ashutosh , a scholar skilled in academic disputation and a professional pedagogue at Delhi , who , incidentally , is also the first batch alumnus of this school , for having put in his heart and soul in scripting the text of this website.